For over three decades, the great inventor and futurist Ray Kurzweil has been one of the most respected and provocative advocates of the role of technology in our future. 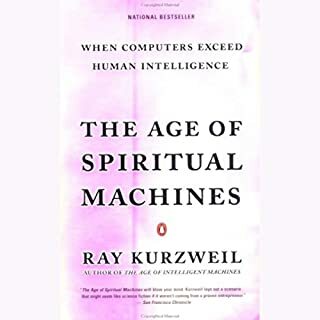 In his classic The Age of Spiritual Machines, he argued that computers would soon rival the full range of human intelligence at its best. Now he examines the next step in this inexorable evolutionary process: the union of human and machine. Not for everyone, but was for me. Ray Kurzweil is the inventor of the most innovative and compelling technology of our era, an international authority on artificial intelligence, and one of our greatest living visionaries. Now he offers a framework for envisioning the 21st century - an age in which the marriage of human sensitivity and artificial intelligence fundamentally alters and improves the way we live. Interesting, but material is covered in better book. For more than 50 years, the world's top scientists searched for the "missing" planet Vulcan, whose existence was mandated by Isaac Newton's theories of gravity. Countless hours were spent on the hunt for the elusive orb, and some of the era's most skilled astronomers even claimed to have found it. There was just one problem: It was never there. Ray Kurzweil, the bold futurist and author of the New York Times best seller The Singularity Is Near, is arguably today’s most influential technological visionary. A pioneering inventor and theorist, he has explored for decades how artificial intelligence can enrich and expand human capabilities. Now, in his much-anticipated How to Create a Mind, he takes this exploration to the next step: reverse-engineering the brain to understand precisely how it works, then applying that knowledge to create vastly intelligent machines. Drawing on the most recent neuroscience research, his own research and inventions in artificial intelligence, and compelling thought experiments, he describes his new theory of how the neocortex (the thinking part of the brain) works: as a self-organizing hierarchical system of pattern recognizers. 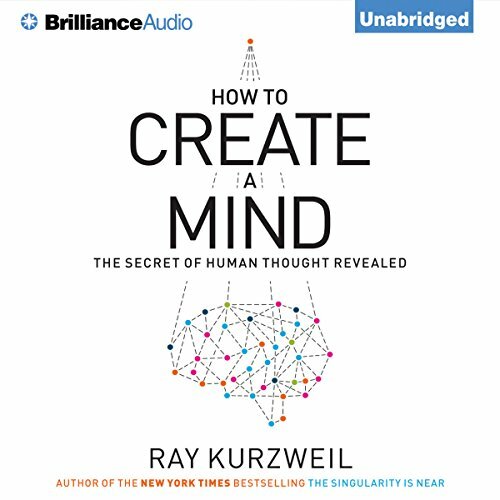 Kurzweil shows how these insights will enable us to greatly extend the powers of our own mind and provides a road map for the creation of super-intelligence - humankind’s most exciting next venture. We are now at the dawn of an era of radical possibilities in which merging with our technology will enable us to effectively address the world’s grand challenges. How to Create a Mind is certain to be one of the most widely discussed and debated science books in many years - a touchstone for any consideration of the path of human progress. ©2012 Ray Kurzweil (P)2012 Brilliance Audio, Inc.
Kurzweil spends more time comparing himself to the great minds of humanity than he does actually discussing his theories. The content is laced mostly with anecdotal fluff, and quotes by other people to make his writing sound more impressive. I'm really happy Audible allows returns because this book is a waste of money. You'd save yourself a lot of time and frustration by just reading a synopsis of the book. 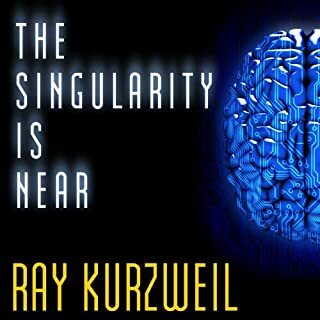 If you don’t know much about the current state of artificial intelligence, brain science, or the philosophy of consciousness, and don’t mind a little bit of technical discussion, Kurzweil does a fine job of articulating the current rapid converge between these areas of understanding. However, if you already do know the basics, this book probably isn’t going to do much to expand your own consciousness. Speaking as a software engineer who has a fascination with AI, I largely agree with Kurzweil's glowing assessments about the future of machine intelligence, though I'd probably push his timeframe back a few decades and could do with a bit less of his self-promotion. Though there's a lot we still don't understand about how the human brain operates, neuroscience and computer science are starting to form the same fundamental insights about how intelligence "works", whether it's represented as neurons or a mathematical process. In a truly intelligent machine, data from the outside world is taken in by a large, hierarchical array of pattern-recognizers, which gradually rewire themselves to better anticipate the messy-but-hierarchical patterns of the real world (visual squiggles to letters, letters to words, words to syntax, syntax to meanings, meanings to relationships, relationships to concepts, concepts to insights -- and back down again). To some extent, the software world has already made useful progress in this direction. However, most of the insights Kurzweil offers aren’t anything new. Indeed, most of what he says was explored in Jeff Hawkin’s 2004 book, On Intelligence, and in academia before that. Briefly stated, the hierarchical architecture of the human brain’s neocortex is the major engine of human intelligence, and it seems to start out mostly as a blank slate, a generalized learning machine that builds neural connections through experience, eventually forming a complex inductive model of reality, which constantly makes predictions about what comes next. Kurzweil shares some of his own successes solving certain kinds of problems decades ago, but the new ideas he advances seem somewhat vague and underdeveloped (maybe he’s saving the nuts and bolts for his new job at Google). Still, there's plenty here for a general audience, when he gets away from the geekery. Kurzweil is passionate and pretty convincing about his belief that even limited gains in awareness of how the human brain works still provide AI researchers with some powerful springboards, and that, conversely, advances (or missteps) in AI teach us more about the brain. As he points out in discussing Watson, the IBM computer system that famously won on Jeopardy after acquiring most of its knowledge from scanning natural-language documents (the sampling of questions it got right is impressive), things have already come a long way. And there's no reason to believe that the rapid convergence won't continue, especially in the post-cloud computing world. After all, the specific, idiosyncratic way our monkey-rat-lizard brains were shaped to think as our ancestors crawled/darted/clambered around undoubtedly isn't the only way an evolutionary process can discover thought. There’s also a succinct but informative history of the field of AI, with brief overviews of significant thinkers and developments. And Kurzweil wades a little bit into the philosophy of consciousness, exploring some its more paradoxical aspects in light of what science knows about the human brain. For example, it's been shown that the two cerebral hemispheres, in patients with a severed connection, operate almost as two separate brains. Yet, each one still seems to think it has a conscious link to the other. Maybe such individuals are more like two people in one body, but don't realize it? Eerie, huh? His other thought experiments are nothing new, but still fun. Everyone should know what the Chinese Room is. Finally, there’s a section in which Kurzweil responds to critics, and calls out a few flagrant misunderstandings of his ideas. While it’s debatable how on-target his past predictions about technology have been, as far as I’m concerned, if he was even halfway right, then he’ll be fully right soon enough. Overall, I think I would recommend this book most to AI neophytes who haven’t read anything by Kurzweil before. His enthusiasm for the topic can be quite inspiring. For other readers, especially those who have read On Intelligence, I don’t think you’re missing anything essential. I’d probably give this one 4 stars for the former audience, 2.5 for the latter, 3.5 overall. Interesting, but author is full of himself. What disappointed you about How to Create a Mind? The author is full of himself. A lot of '...in 19bladiebla I did this, predicted that, I've discovered this, I founded this or that company..
Something else of the author Nick Bostrom, after his great and very thrilling "Superintelligence: Paths, Dangers, Strategies"
Would you be willing to try another one of Christopher Lane’s performances? Not at all a problem with him. Dissappointment and anger: cut to the core! A few good chapters but mostly just kurzweil going on and on about his predictions in other books. I’m a fan of Kurtzweil. I find his book The Singularity is Near to be an essential part of any modern education. He is also the most financially successful Artificial Inelegance (AI) researcher to date. So he’s a great philosopher, a great researcher, and a great businessmen, but apparently he’s not infallible, because this book missed the mark. In a nutshell his answer to the question, “How do you/we make a mind” is “The same way we’ve been trying for the last 30 years”. This answer is so close to brilliant it’s spooky. I think there have been profound changes in AI over the last 5 or 6 years. Big data is suddenly revealing (or at least strongly suggesting) that we in fact may have been making pretty good synthetic minds for decades and just didn’t know it. The problem has been that having made a good synthetic mind we don’t know how to educate it. At the same time (because of advances in AI) we may be on the cusp of discovering that we don’t know how to educate biological minds either (and have been making nearly the same mistakes as the AI community has been making). In this book Kurzweil presents much of the data in support of this argument, and then walks away from what to me seemed the logical conclusion. To make matters worse his overview of 30 years of AI is quite narrow. One might get the impression that he believes that Multi-Layer Hidden Markov Models are all that is needed. Perhaps in some since any of a dozen AI methods are sufficient, in the same since that Truing Machines are sufficient, but the field of synthetic mind creation is much richness than presented here, as the author must have known. Brand new Kurzweil book! ... Excellent!! 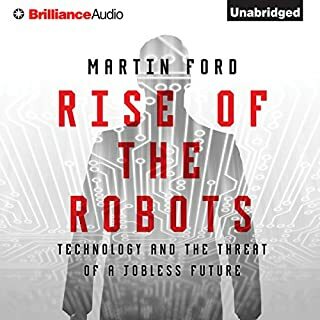 I am currently 2 hours into the book and it is everything I hoped for - possibly the best audiobook I've listened to so far. I am a Ray Kurzweil fan. 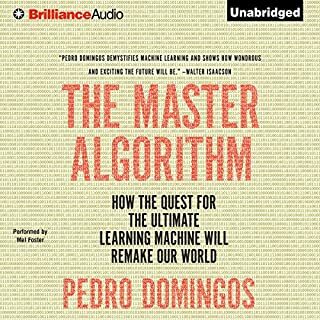 I've already listened to "The Singularity is Near", a book which contains a lot of data tables, that, in my opinion, kind of hampered the listening experience. This book on the other hand, has a straightforward narrative style that translates very well into the audio format. The reader speaks a bit slow for my taste, but that is a very minor complaint. The information in this book is fascinating. If you're a fan of science, technology and futurism, or if you are interested in the human mind and how it works, you will love this book. I am offering this mainly as a quick, dissenting opinion. Having finished the book a week ago, I find that surprisingly little lingers in my mind. Undoubtedly Kurzweil (such an ironic name, given his passion for immortality) has an explanation for this in units of Shannon entropy. I am actually sympathetic to Kurzweil's post-humanist ambitions and mechanical modeling. It's nice to have a stream of books by such an ambitious techno-provocateur. But unless you are planning to tinker together a mind in your garage workshop, the book can be a little tedious. There is a lot about "pattern recognition" in the neocortex, which is not exactly news. We hear about "neuron firing" speeds and networks, about exponential rates of change and phase shifts, which again did not generate any "Aha" moments in this listener's mind. While Kurzweil trots out a few philosophers for refutation, the many philosophical and common-sensical objections against a physical analysis of consciousness are largely swept under the rug. As a visionary technologist with many knowledgeable admirers, Kurzweil has perhaps earned the right to tout (once again) his many correct predictions, though I don't know if anyone is keeping track of the hindsight factor. Still, his confidence reminds me of those brief, brilliant historical moments (the Vienna logical positivists; particle physics just prior to quantum theory) when thinkers felt certain they had finally drained the bogs of metaphysics, only to find paradoxes bubbling back up and themselves sucked back down. If you are a Kurzweil fan, by all means, enjoy. If you are building a brain in the basement, you may prefer the printed text. 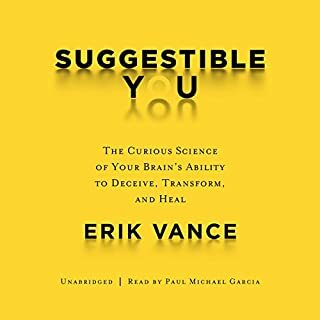 If you want an audiobook with fresh insights into the philosophy of mind or an ingenious new model of consciousness, you may find this disappointingly dry, bogless, and shallow. But easy on the ears: the reading is very good. Kurzweil is not for everyone, but he is for me. 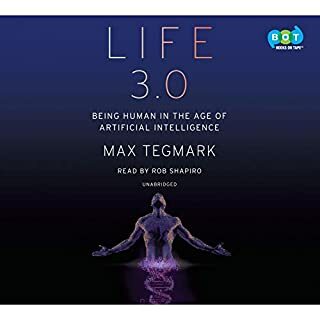 He covers a wide range of topics from how the brain works, quantum physics, logical positivism and Ludwig Wittgenstein up to what does it really mean to be human. I get a little glossy eyed during the description of the brain and its interactions, but he explains them as good as anyone and I could follow them but not well enough to repeat it to others, but when he's talking about what constitutes a thinking human is where he really excels and excites and I can and will repeat to others his thoughts on that stuff. The narrator really added to the books enjoyment. I thought he was narrating the book exactly the way the author would have been while he was writing the book. Another great piece of work by Ray. Would you listen to How to Create a Mind again? Why? I would give a repeat listen again in one years time to compare the rate of technology to his predictions. Especially now that he is working at Google. I have read or listened to all of Ray's books, and while I think some of his predictions are a little grandiose, many are spot on. Technology has always fascinated me. The whole idea of a set of machine software to bring about innovation, products, revelations and revolutions to many areas of our world is both exciting and intriguing. The explanation of how the mind is layered with pattern recognizer's over and over not only has this been proven, but replicated on some small proof of concepts already. It is an exciting time. What other book might you compare How to Create a Mind to and why? He brought an energy and excitement to the book. Sometimes the material get a little dry, he kept you interested. Having the kindle version of this helped out a lot. There isn't too many charts or pictures, but I found that following along during a section/chapter that I found really interesting helped me understand it a little easier. What made the experience of listening to How to Create a Mind the most enjoyable? Great insights into the evolution of the human mind and technology. A must have for people interested in learning about the origins, current applications, and predictions of the field of AI.